This course has been arranged as part of the Conference Program by the ACNM Program Committee. It is wholly sponsored and developed by The Counter Terrorism Operational Support (CTOS) service, a member of the National Domestic Preparedness Consortium (NDPC). Those who complete the course will receive an official FEMA certificate. This course has been arranged as part of the Conference Program by the ACNM Program Committee, and it is wholly sponsored and developed by The Counter Terrorism Operational Support (CTOS) service, a member of the National Domestic Preparedness Consortium (NDPC). This half-day training course is designed for Emergency Medical Services (EMS) and Medical Healthcare personnel to provide situational awareness of response operations that will be encountered during a radiological or nuclear incident. This course will provide an introduction to radiation and to radiological/nuclear Weapons of Mass Destruction (WMD). 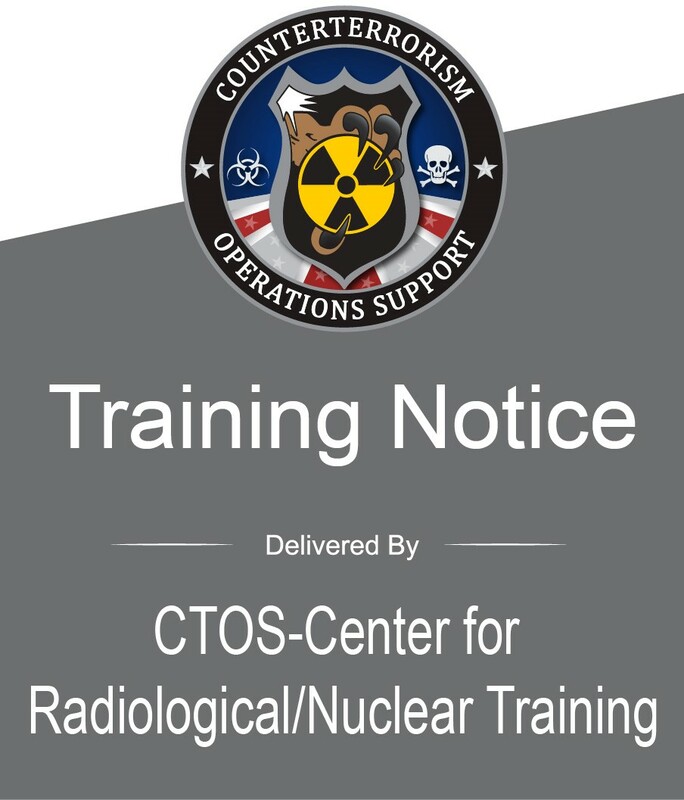 The training provides EMS and Health Care providers with fundamental knowledge related to radiological/nuclear threats, including an overview of threat recognition and protective measures. Important Note: all participants requiring DHS/FEMA certification must have a FEMA SID before attending the “Introduction to Radiological/Nuclear WMD Operations” course. Click here if you do not already have a FEMA SID. Non-US citizens are required to submit an additional one-page application for registration; this form must be completed by December 15. Instructions for this additional application will be emailed to each participant following their registration to the program. Registration for this workshop has been extended. Registration now closes on January 9, 2019. Available on a first-come, first-served basis. Seating is limited.